Verizon Telematics has acquired Fleetmatics in a $2.4bn deal. Verizon said the deal will accelerate its position as a leading provider of fleet and mobile workforce management solutions. Fleetmatics is headquartered in Dublin, Ireland, with North American headquarters in Waltham, Mass. The company’s Web-based solutions provide fleet operators with visibility into vehicle location, fuel usage, speed and mileage, and other insights into their mobile workforce, helping them to reduce operating costs, as well as increase revenue. “Fleetmatics is a market leader in North America – and increasingly internationally – and they’ve developed a wide-range of compelling SaaS-based products and solutions for small and medium-sized businesses,” said Andrés Irlando, CEO of Verizon Telematics. “The powerful combination of products and services, software platforms, robust customer bases, domain expertise and experience, and talented and passionate teams among Fleetmatics, the recently-acquired Telogis, and Verizon Telematics will position the combined companies to become a leading provider of fleet and mobile workforce management solutions globally,” Mr Irlando added. Jim Travers, chairman and CEO of Fleetmatics, added: “Verizon and Fleetmatics share a vision that the SaaS-based fleet management solution market is extraordinarily large, lightly penetrated, global and fragmented which can best be attacked together with a world class product offering and the largest distribution channel in the industry. 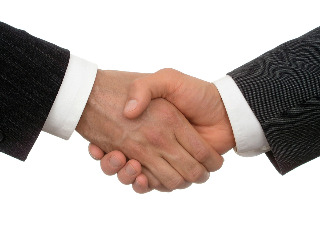 The deal follows Verizon Telematics’s acquisition of Telogis which closed on 29 July. The Fleetmatics acquisition is subject to customary regulatory approvals and closing conditions, including the approval of Fleetmatics’ shareholders and the sanction of the Irish scheme of arrangement by which Verizon will acquire Fleetmatics by the Irish High Court. The deal is expected to close in the fourth quarter of 2016.